I can’t say for sure what inspired me to be an author other than I had stories inside of me that I wanted to tell. I started writing when I was in high school, but wasn’t very good at it. I dropped it when I got to college. Majoring in Biomedical Engineering, there wasn’t a whole lot of time for ancillary activities. After graduation, my wife thought it would be a good idea if I started writing again, and I realized that it was something that I missed. That was when I got serious about learning the craft and trying to get published. My style is very action oriented. I try to keep my stories as fast paced as possible with few lulls and as little fat to trim as possible. I write in different genres but I still maintain a similar style whether I am writing horror, fantasy, or science fiction. I certainly don’t hold myself to a genre. My first novel, Two For Eternity, is an historical fantasy novel that takes place of 12,000 years. I followed that up with Blood Street, a paranormal thriller featuring vampires feuding with mobsters. 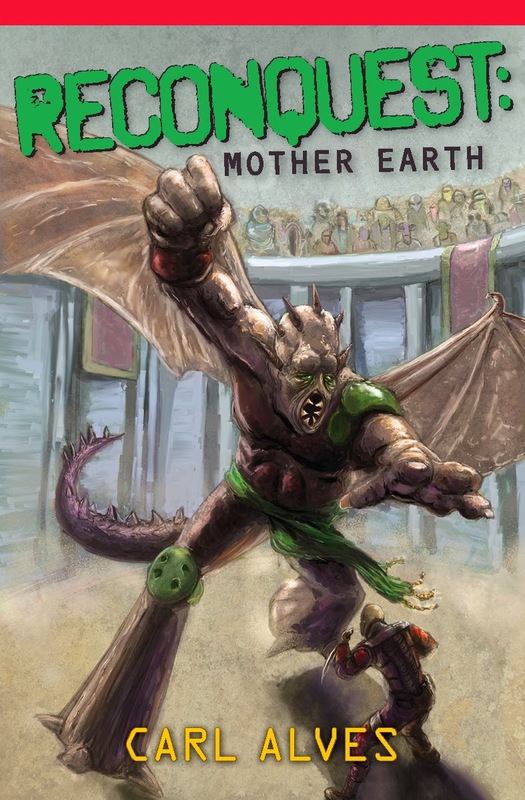 My latest novel, Reconquest: Mother Earth, is a post-apocalyptic sci-fi thriller. I basically find concepts that really interest and excite me and I turn it into a story. I see myself doing more of that in the future, regardless of genre. Even though I dabble in different genres, the one that I am drawn to the most is horror. I have been a fan of horror novels and movies for as long as I can remember. When it’s done right, and that isn’t often enough for my liking, it is the genre that I enjoy the most. Titles are so tricky. Occassionally, I come up with a title early on in the process, but more often than not it comes later. In the case of Reconquest: Mother Earth, Brett Talley, who is a fantastic, up and coming horror writer, suggested the title. I try not to overtly put messages in my novels, however, Reconquest: Mother Earth is mostly about the human will to survive and adapt, to find ways of fixing very complicated problems. This perseverence and unwillingness to accept defeat is embodied in my main character Mitch Grace, a former Navy SEAL who is determined to take back the planet Earth from the alien conquerors. Seeing as how there has never been an alien invasion and takeover of the planet, I can’t imagine than anything in here reflects any true life experience. My favorite book is most definitely The Stand by Stephen King, who is my favorite author. The Stand is the best novel I've ever read. I tackled this post apocalyptic epic fantasy when I was thirteen. It had a profound effect on me then and made me want to write. There is so much going on in the novel, but if you want to boil it down to its fundamentals, it's ultimately about good vs. evil. The personification of evil, and the best written villain I've encountered this side of Hannibal Lecter is represented in Randall Flagg, who is kind of like the devil incarnate and the one who started this super flu. I would love to work with Stephen King. He has redefined the horror genre and his early work is brilliant. I would probably be very intimidated to work with him, but I would still thoroughly enjoy it. Next up on my list is Bloodstone by Nate Kenyon and Seven Brains by Michael Louis Calvillo. Just recently I finished a manuscript am I currently titling Beyond Ragnarok, which starts off with the Battle of Ragnarok taken from Norse mythology. In my story Loki swerves the Asgardian gods by not appearing at Ragnarok, and instead spending the last decade on Midgard (Earth) creating a virus designed to wipe out most of the population so that he can wrest power from the world’s leaders. It is up to two of the survivors of the Battle of Ragnarok to stop him. It’s hard to say since I truly enjoy every aspect of writing. For me the hardest part is probably starting the story. I think that’s the most crucial part of the story, and you have to hit it just right. You have to hook your reader in, introduce your main character, introduce setting, and it all has to be perfect. That balance isn’t always hard to reach. Jeremy Rathbone, who is one of the in-house artists used by Montag Press, my publisher. I would say really work hard to get better at the craft of writing. Don’t rush to get published. Good writing is something that takes a lot of hard work to achieve. It also takes time. I am thinking something either from the early Ozzy Osbourne era or perhaps some of his work when he was with Black Sabbath. SEAL Mitch Grace was among the first humans to see the aliens when they landed at the naval base where he was stationed, but like the rest of humanity, he was powerless to stop them. Five years later, Mitch awakens from his coma under the care of an alien physician to find that aliens control the planet. Starting alone, as a one man army, he rallies the surviving humans to build a resistance movement to take the planet back from the alien conquerors. After his capture by the aliens, Mitch is forced into intergalactic slavery to become a gladiator, fighting as the sole representative of the human species. Against all odds and far from home, he lays the plans for the reconquest of his homeland. Reconquest: Mother Earth is the thrilling combination of Red Dawn, Independence Day, and Gladiator. Carl went to Boston University majoring in Biomedical Engineering. Carl graduated with a BS degree, and has since worked in the pharmaceutical and medical devices industries. He later graduated from Lehigh University with an MBA degree. His debut novel Two For Eternity was released in 2011 by Weaving Dreams Publishing. His novel Blood Street was released in 2012 by True Grit Publishing. His novel Reconquest: Mother Earth is scheduled to be released in 2014 by Montag Press. His short fiction has appeared in various publications such as Blood Reign Lit, Alien Skin, and Dark Eclipse. 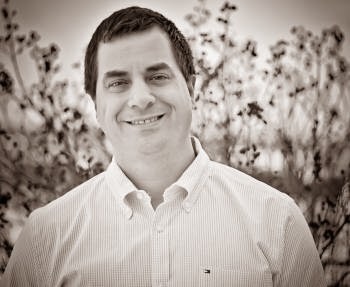 He is a member of the Horror Writers Association and has attended the Penn Writers Conference.